Our smartphones and smart devices such as Amazon’s Alexa and Google Home are becoming more commonplace as consumers have come to love the simplicity, speed and usability of these devices. Nearly 20 percent of all searches are done through voice, and with the growing popularity of smart speakers and consumers making their homes ”smart,” business owners and marketers have already started implementing voice search SEO as a part of their long-term goals and strategies to drive traffic. As we quickly approach the end of 2018, here are some useful pointers to ensure that your business is getting the most out of voice search SEO and preparing for success in 2019. Traditional forms of SEO such as tags and keywords are still relevant, but voice search requires a slightly different approach. One important factor that accounts for this difference is in the way people write versus how they speak. Depending on the type of business, certain words or phrases are more commonly utilized when doing a voice search, such as ”coffee” and ”café,” or ”food” and ”restaurant.” When coming up with a voice search SEO strategy, it is crucial to take this difference into account to ensure that you take full advantage of voice search capabilities. Using long-tail keywords and long-form content. Long-tail keywords and long-form content, which tend to include more information, are especially useful in voice searches, since the user is speaking in longer sentences and asking in-depth questions. Since voice assistants are also designed to be conversational, it is important for businesses to understand how consumers may speak about their type of business as opposed to how they would do a search on Google or another search engine. Page speed is key. 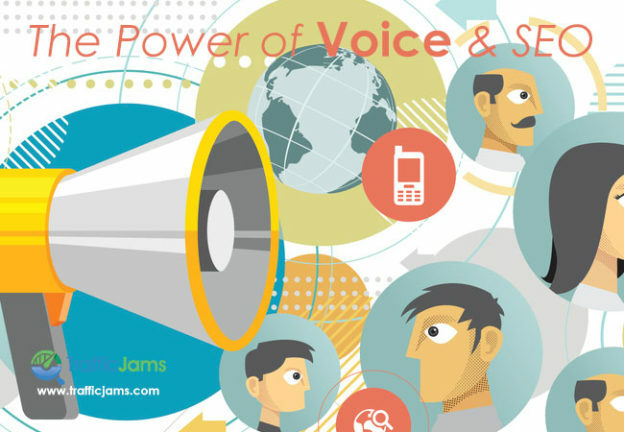 Speed is everything – especially in the context of voice SEO. Since humans by nature talk faster than they type, it is crucial that a business’s web page is optimized to run efficiently and quickly. Fast-loading webpages have a key advantage over competitors as voice search devices like Alexa and Google Home need to quickly pull information from sites that have long-tail keywords to generate the most accurate results. Think local. In a world where people are constantly on the move, deciding on where you want to go for a cup of coffee can be a challenge – especially if you’re in unfamiliar territory. This is where local searches come into play – and now with the power of voice, users can easily go on their smartphone and ask them for the closest coffee shop with the press of a button. Since 2016, trend reports have found that over 20 percent of people use voice search to find local information and that number continues to increase (almost 150 percent year over year). Now more than ever, local businesses need to leverage voice search into their business plan – which includes using keywords characteristic of the local neighborhood and nearby landmarks or institutions that are relevant to the business’s success. Doing so, can help maintain the business’s role in its local community. Optimize for mobile. The takeover of mobile is anything but new, but it is still a relevant component of SEO strategy. Users want immediate results in the palms of their hands, and since most voice searches today are done through smartphones, you want to ensure that websites are not only fast but mobile-friendly and easily accessible across all mobile platforms. As consumers have started to utilize voice search more frequently, the SEO landscape has adapted to become more voice intelligent and more capable of understanding vocal commands to pull information. It is crucial in today’s marketplace to not only continue leveraging traditional SEO practices but also to merge voice search and SEO into your business plan to drive traffic. Contact Traffic Jams for innovative and effective ways to enhance your business’s SEO strategy. Give us a call at (855) 599-3999 and we’ll help you revamp your SEO strategy for complete success.